The Caboose is a famous Californian cut, a cross of the original Trainwreck with the legendary Salmon Creek Big Bud. After several years testing we were able to reverse it and self it, to make stable feminised seeds. The strain grows compact, with short internodes and wide branching. The structure of the branches makes it a good filler and a great producer; it has the irregular bud formation typical of the Trainwreck heritage, with the calyxes large and round, with purple and reddish hues, but the buds grow large and dense, more like a big Bud than a Trainwreck. 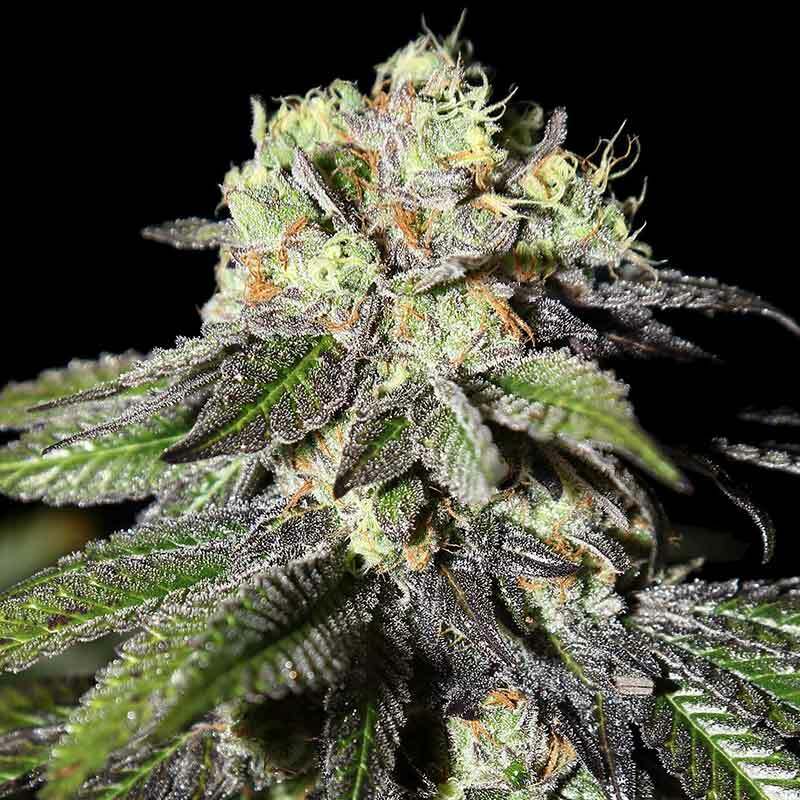 This large-calix and large-bud combination is very rare, and makes the Caboose an ideal commercial strain with great quality and a very complex aroma and flavour. The Caboose is good for outdoor and indoor, and performs great on all mediums. If plants are large the branches should be supported. The EC levels can be high, especially when the plants are in a healthy environment and perform at 100%. The Caboose is a fast hit, burns well and has a distinctive mineral taste, complemented by a flowery background. It smells like Chinese oranges and spring blossoms, but it also has a pungent, almost metallic scent (a memory of the heritage from the Big Bud side). The resin is very white, giving it a really cosmetic look. The effect is very intense. It starts very trippy, then moves on to a slow but steady descent into the realm of narcotic and couchlock. It is not suggested for productive or creative moments, it is more suitable for relaxing, chilling, watching movies or just as a pre-sleep aid. The dried buds are dense, thick and hard, with large calyx. The crumbled bud is very sticky, bright green with some orangey-brownish hues. AROMA (Unburned): kushy, sweet like blossoms yet salty, almost metallic. Complex. EFFECTS Speed of high onset: fast hitter. Duration of high: medium lasting. Quality/type of high: strong, far more stoned than high, trippy first and then sedative. FLAVOUR (Burned): chemical, mineral, flowery. FLOWERING TIME Flowering Indoor: 8 weeks flowering time. Up to 0.9 gram (dry and manicured) per watt per m2 (with 1000W HPS).Flowering Outdoor: 8 weeks flowering time. Very large plants can harvest over 1Kg of dried, manicured buds. MEDICAL Still to be evaluated, surely a good appetite stimulant.